Jenn Wicks and her husband have witnessed a lot of road rage in Conception Bay South. 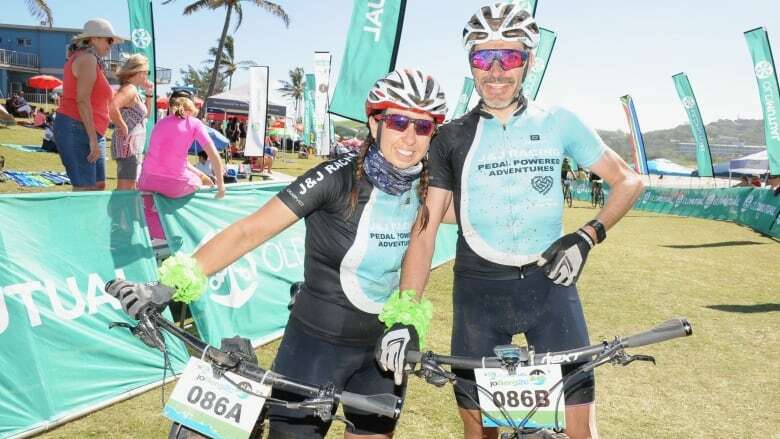 Jenn Wicks and her husband are avid cyclists and love hitting the pavement on two wheels whenever they can. But when they were out for a weekend ride, they had a number of encounters with drivers who not only didn't obey the new one-metre rule, but who were also, Wicks said, needlessly aggressive. "I'm actually thinking, which story should I tell? Because there were unfortunately a few," she said. "It ranges, the types of aggression that we see. The worst is when people speed towards us and their trucks sound very loud when they do that, and that's very intimidating when you're on the bike." 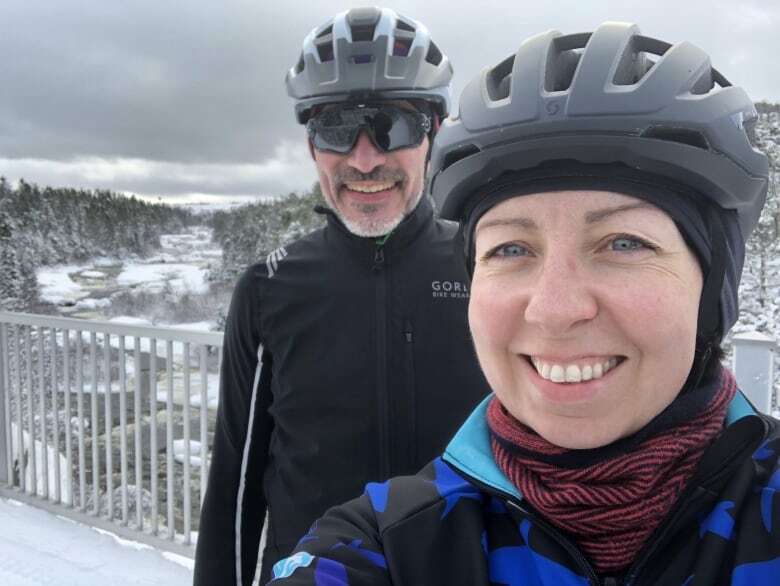 Wicks lives in Conception Bay South, and was cycling on Sunday with her husband from their home in Manuels out to Holyrood. It's a road with little to no paved shoulder and no sidewalk, Wicks said, and it's riddled with potholes. One driver in a pickup truck who was waiting to turn onto the road saw them, and "laid on his horn for a long time," Wicks said. "Just seeing us brought up some of that road rage, so of course when he pulled onto the road, he came quite close to us, definitely violating that one-metre rule, and we could see him shouting and waving his hands around," Wicks told CBC's St. John's Morning Show. "That's quite scary for a cyclist when you're on just two wheels and you've just got a helmet protecting you." But Wicks said it wasn't just drivers being aggressive. "One thing that really upset me, I think, was the passengers who took the time to roll down their windows and curse at us or shout at us to get off the road," she said. "Some people shout at us to use the sidewalks." Not only is that not safe and not recommended, Wicks said, but it's also impossible in that area, since there are no sidewalks. Cycling safety is a tough subject for Wicks, whose husband was cycling when he was seriously injured in 2016 after being struck by the driver of a motorized scooter when the couple was living overseas. "He had a traumatic brain injury, he fractured his spine. When they rushed him to the hospital he had seven bleeds on the brain. He lost his memory for a while," Wicks said. "It was a tough recovery. Almost every bone in his face was smashed, except for his lower jaw, so we've seen it first-hand, and I never want anyone to have to go through that — and I certainly don't want to lose my life for doing something that I am really passionate about." The Newfoundland and Labrador government earlier this month brought in a one-metre rule, requiring motorists to give at least that distance in space to bicyclists and pedestrians on roads with posted speed limits of 60 km/h or less. Breaking that rule can land drivers with a fine between $100 and $400, or even two to 14 days in jail. They'll also lose two demerit points. On roads with higher speed limits, the minimum distance is 1.5 metres. But Wicks wonders how effectively those laws can be enforced. "Unless we do have our handlebar cameras and everybody's reporting it into some kind of a system and the police need to be a part of this, I think enforcement is going to be tough," she said. "And the consequences don't match the risk to human life." Wicks, who works as a leadership coach, instead hopes that by sharing her story there can be more awareness created, and that drivers will look at why their emotions change once they get behind the wheel. "That may sound funny to some people, but people change when they get behind the wheel of a car, and the slightest inconvenience can just send them into a fury," Wicks said. Unless a driver has tried cycling on a shared road, they may not realize what it's like, Wicks added. "Being able to sit back and say, you know, 'I'm just on my way to Tims for a coffee,' or 'This person's allowed to share the road and everyone's entitled; I'm just gonna slow down and wait my turn until it's safe to pass and not risk injuring somebody or taking their life,'" she said. "The time that it takes to do that is nothing, and the consequences for a cyclist versus a driver of that inconvenience, it's not even comparable." 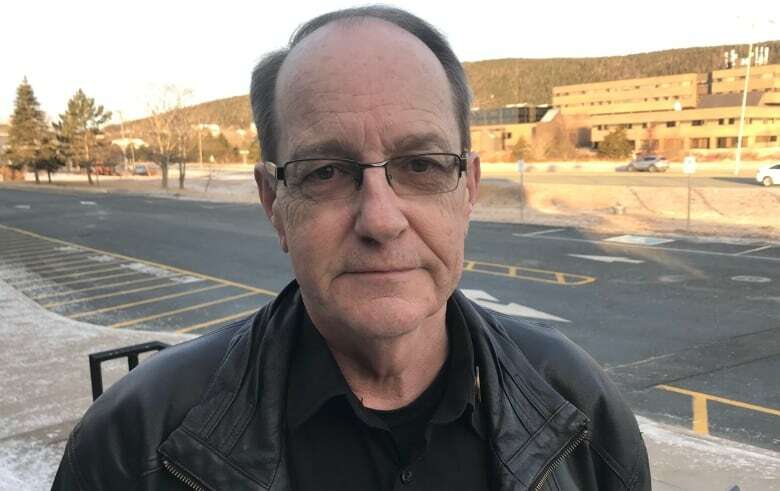 It's not uncommon for motorists to misunderstand the rules of sharing the road, says Jim Brazil, a driving instructor with Safety Services N.L. "We often hear comments like, you know, bicyclists shouldn't be on our roads … and we have to remind our drivers [about] the Highway Traffic Act, which is intended for the efficient, effective and safe movement of all road users," Brazil said. "The bicyclists have every right to be on that road, to use the pavement, to get from Point A to Point B safely. Sometimes it comes down to, I think, an attitude problem." Comments like bicyclists should use the sidewalks instead are misguided, Brazil said, since sidewalks are meant for pedestrians. "The respect that we think we deserve is also something we should be showing to other road users," Brazil said. "If we paid a little bit more attention to what we're doing out there and recognizing that's our main goal always is to get to where we want to go safely, then I think we'd be far better off when it's all said and done." 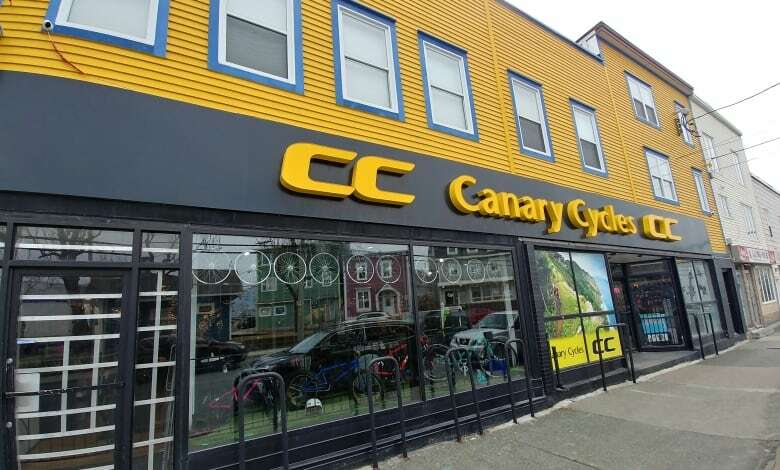 Sharing the road with motorists is a risk a lot of cyclists are familiar with, said Flora Planchat, owner of Canary Cycles in St. John's. "Most of our customers have at least one or two stories of being kind of pushed off the road or driven into the sidewalk," she said. "I've had cars brush me before, and your heart rate goes up and you start to kind of freak out a bit, because you're worried for your personal safety. So being clipped by a car, being shoved off the road by a car, it's frightening." Planchat advises her customers to steer clear of the city's main thoroughfares, like Kenmount, Torbay and Topsail roads, none of which have bike lanes. "It can be frustrating, intimidating. A car could kill you in seconds. A bike's not gonna do much damage to a car," Planchat said. "Bikes have been around a lot longer than cars, but I've been yelled at and told to get off the road. And you're allowed to be on the road." 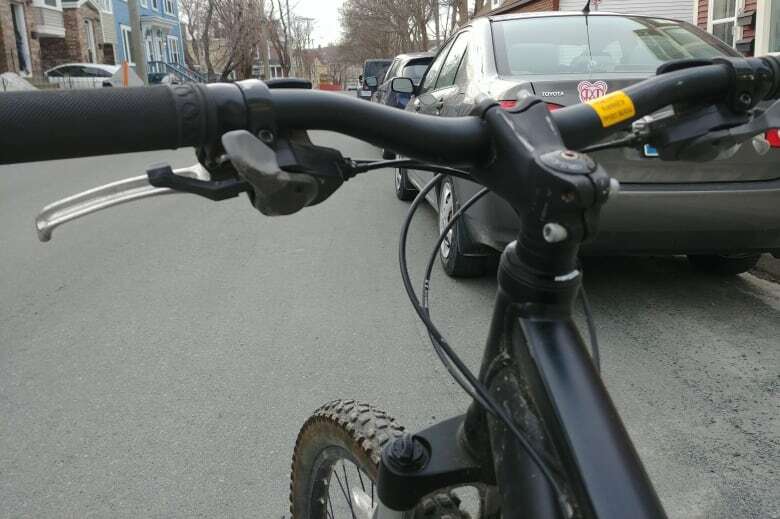 As for what she thinks the City of St. John's can do to make cycling more accessible, Planchat said any movement on proposed bicycle paths would be welcome news. "You can't circumvent the city, you can't easily get to MUN — there is no bike path from downtown to MUN, so if they can put any bike paths in for fitness that would be amazing," she said. "But also some bike routes for people to get to areas like the university, the mall, and wherever people who are cycling are trying to get to."